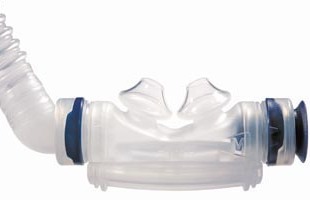 This is the Swift II nasal pillow frame system with one set of medium nasal pillows but without the headgear and seal rings. This is essentially the complete mask with medium nasal pillows minus the headgear. We are only authorized to sell and ship ResMed™ products to end-users residing in the United States. All services provided by BestCPAPprice.com, including advertisement, ordering, sale, delivery, instruction, and setup of the products are performed solely by BestCPAPprice.com, and independently of ResMed™.